Golden Boy Coffee at 1803 N Elm St in Denton, Texas. 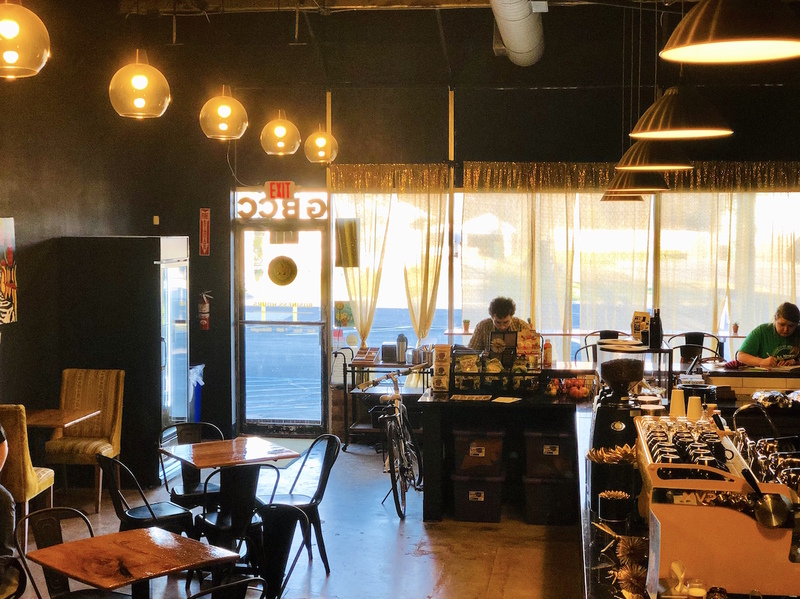 All photos courtesy of Golden Boy Coffee Co. 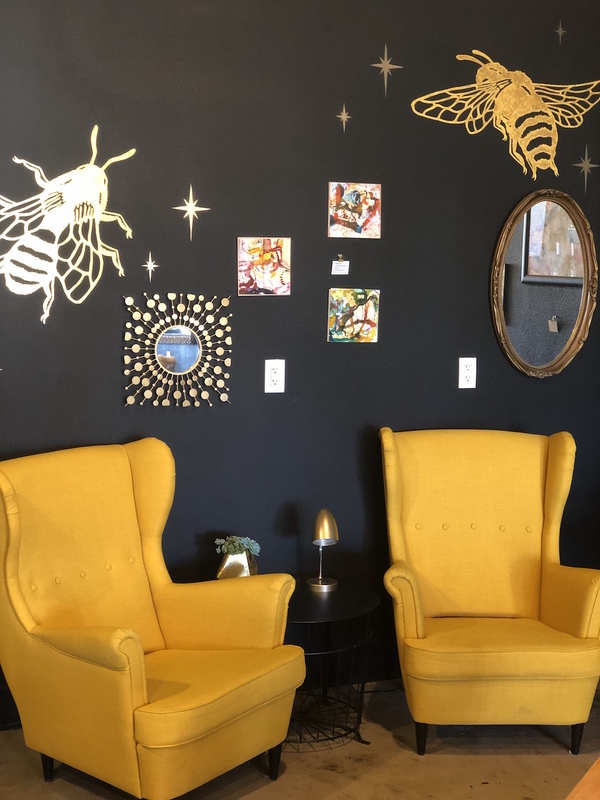 The coffee scene in Denton, Texas, got a whole lot blingier recently with the opening of Golden Boy Coffee Co., a barista-founded shop whose interior is only the most visible nugget of its commitment to casual style and serious drink craft. 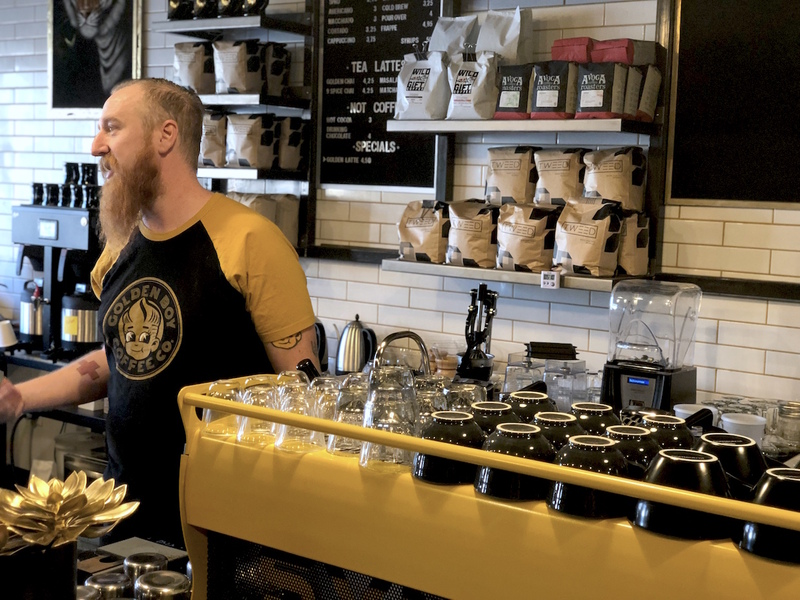 Golden Boy Co-Owner Andy Cunningham told Daily Coffee News he wore a variety of hats at Ascension, including as lead coffee tech and trainer, working closely with Roaster Aubrey Warden to dial in the company’s coffees, and helping the company expand to seven locations. 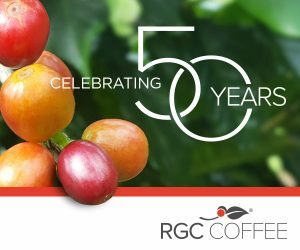 Cunningham also worked closely with Ascension Coffee Owner and Head Roaster Russell Hayward in running the Rwanda Booth at the SCA Expo for two years. Golden Boy Coffee Co-Founder Andy Cunningham. Golden Boy Co-Founder Trey Suire, meanwhile, has successfully launched and operated various businesses in fields such as landscaping, agriculture and personal fitness. He’s also a licensed contractor, which came in handy during the Golden Boy build-out. The resulting interior contrasts black walls, surfaces and chairs with white subway tile on the back wall, and various golds and yellows throughout, aiming for a balance between daytime coffee and evening cocktail appeal. 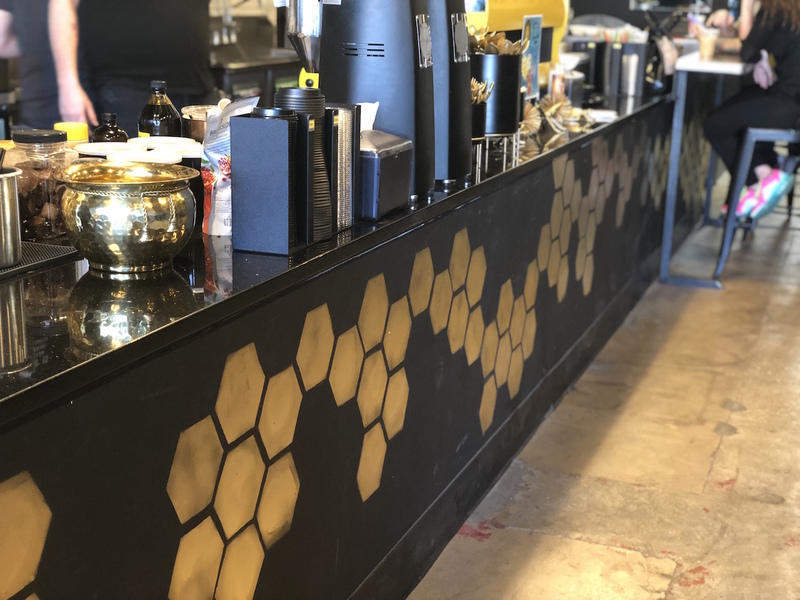 Cunningham, who painted the shop’s honeycomb-like hexagon patterns on the counter and walls himself, said he and Suire worked 16-hour days on the floors, paint and other areas. 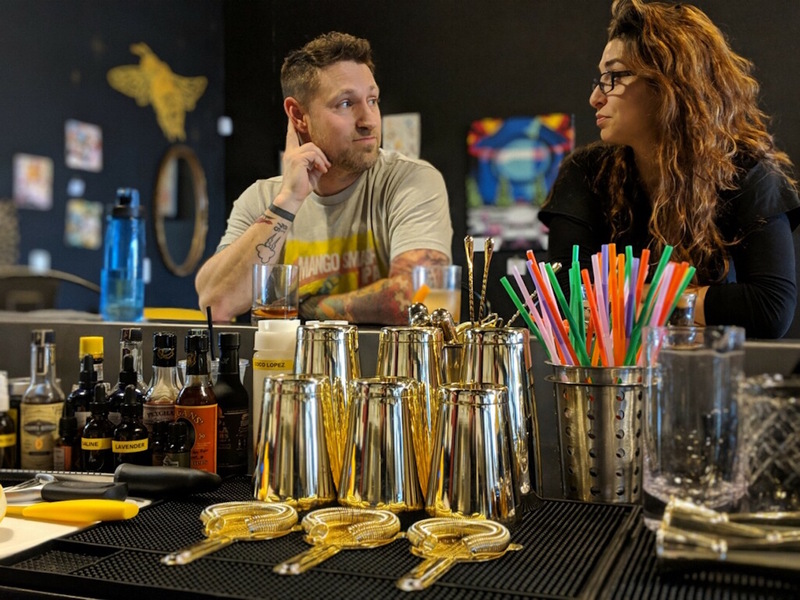 Golden Boy Coffee Co-Founder Trey Suire (pictured left). 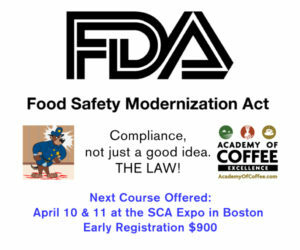 That equipment now includes a custom yellow Synesso MVP espresso machine named Dorothy, after the Golden Girl, of course. 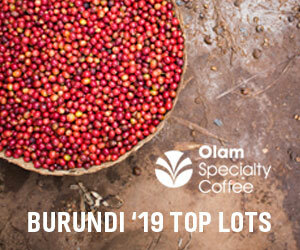 Dorothy plays well with a pair of Mazzer Kony grinders, while a black Curtis G4 one-gallon twin brewer turns out batch brews alongside a pourover program featuring Kalita Wave and Chemex brewers. 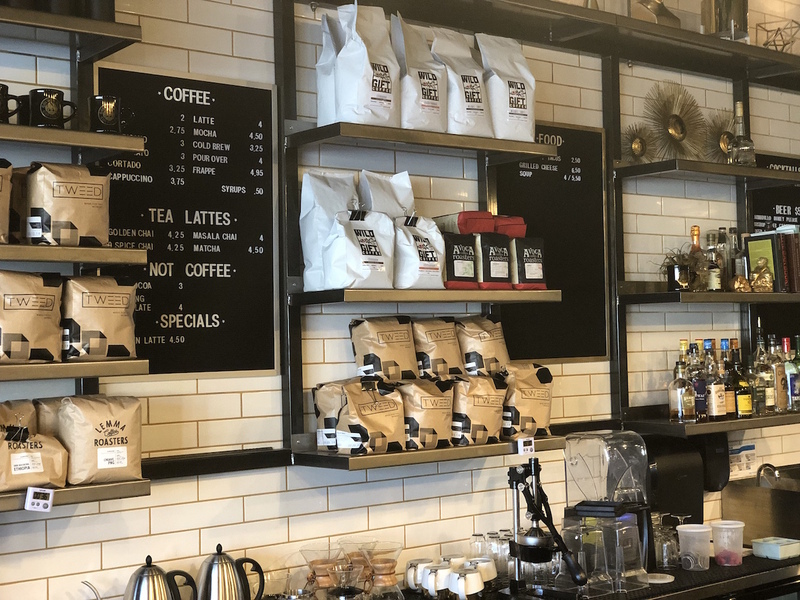 Dallas-based Tweed Coffee Roasters is the ongoing bean provider for a coffee program that also currently features Lemma Coffee Roasters, a fellow Denton company. 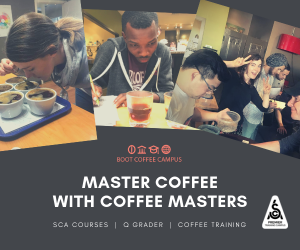 Future offerings are slated to include beans from Evocation Coffee out of Amarillo, Austin’s Wild Gift, and from Houston, Xela Coffee Roasters. The Golden Boy alcohol program overlaps with the coffee side for offerings such as an oat-milk-based punch topped with an espresso floater, and what Cunningham describes as “a legit Irish Coffee,” featuring a Tweed-roasted coffee from Burundi paired with Kilbeggan rye whiskey, house-made demerara simple syrup, fresh whip cream and nutmeg. 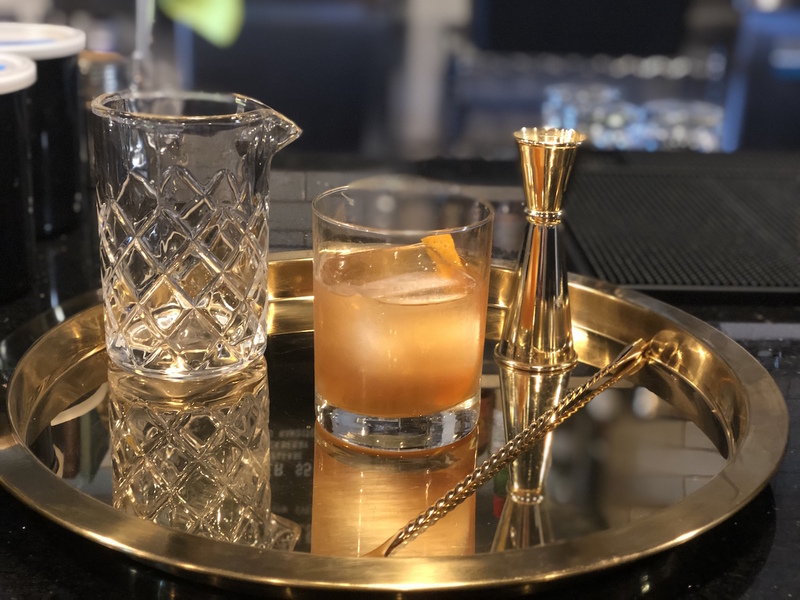 Cunningham said Golden Boy’s success since opening last month is providing solid encouragement towards plans for expanding to multiple locations. The search for the second spot has already begun, and the intention is to make each Golden Boy location unique in some way, be it through coffee, food or alcohol. 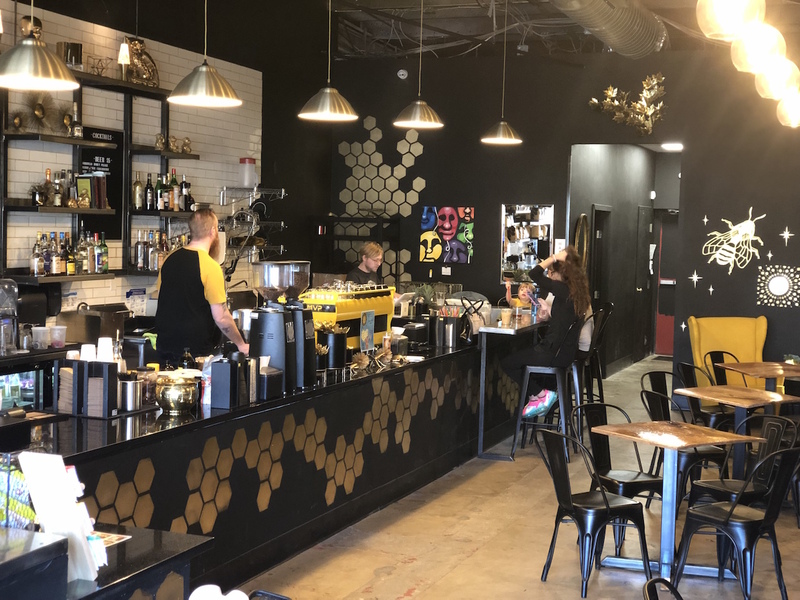 Golden Boy Coffee is now open at 1803 N Elm St in Denton, Texas.